Invite employees to celebrate the holidays together. 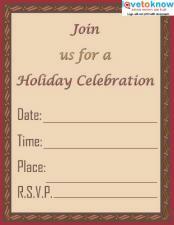 Get the season started right with festive corporate holiday party invitations. Everyone loves a memorable, eye-catching invite, and it's a surefire way to guarantee maximum attendance on the big night! Even if your company holiday party isn't luxurious, most companies prefer to send elegant, professional looking invitations to employees for the annual holiday event. Printing them on medium weight card stock and hand writing everyone's name on the front before putting into the company mail system adds a special touch to the invitation. If you need help downloading the invitations, check out these helpful tips. Employees who work for small, close-knit companies may opt to hold a function at someone's house. Others might choose to rent out party rooms for a playful, lighthearted affair, book a table at a ritzy restaurant for a more chic event or cater a casual, low-key lunch. Depending on the workplace and the preferences of the staff, just about any type of get-together can pass for a holiday party these days. 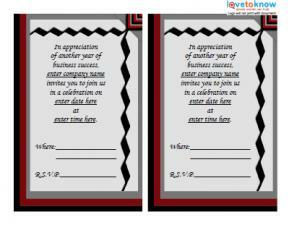 Select the right invitation for your company's celebration. 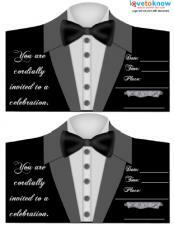 Pick an invitation that reflects a theme. Holiday Stars by The Printable Holiday is a contemporary invitation template with a bold red circular ornament and trailing green stars. Festive Holiday by Zazzle is adorned with evergreen branches, holly leaves and berries for a simple-yet-attractive look that's highly appropriate for a corporate party. Cheerful Forest by Simply to Impress has Christmas trees and ornaments at the top, with a bit of a laid-back retro feel to the invitation. Candy Cane Sweet by Invitation Consultants has a delicious cup of cocoa with a peppermint stick for stirring. Don't worry if your office doesn't have much room in the budget for holiday party invitations. Even those seemingly over-the-top, fancy invitations don't have to cost an arm and a leg. Most companies offer cards in groups of 25 or individually if the number of people attending is fewer, at relatively reasonable rates. If ordering invitations online or having them specially prepared is simply not feasible, the best thing to do is head to your local greeting card store. You may end up with something a little more basic, but as long as it gets the right information across it's completely appropriate. Downloading free invitations is fast and cheap, and they can look just as professional as purchased invitations if you use quality paper and ink. 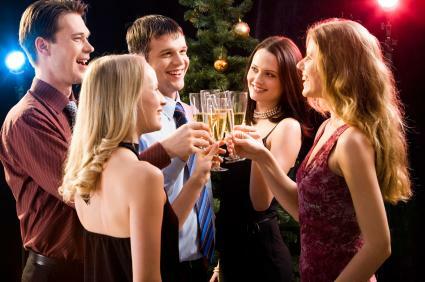 Great attendance is what will make or break your corporate holiday party, regardless of the event's theme or cost. Get everyone excited about the celebration by picking out an invitation that sets a festive mood.